Christmas and New Year are arguably the two most celebrated holidays in the world. America officially joined the celebration when the 18th President—Ulysses S. Grant–of the relatively new country declared it a federal holiday on June 26, 1870. “In the early 17th century, a wave of religious reform changed the way Christmas was celebrated early American Christmas – winter holiday in Europe. When Oliver Cromwell and his Puritan forces took over England in 1645, they vowed to rid England of decadence and, as part of their effort, cancelled Christmas. By popular demand, Charles II was restored to the throne and, with him, came the return of the popular holiday. An outlaw Christmas After the American Revolution, English customs fell out of favor, including Christmas. In fact, Congress was in session on December 25, 1789, the first Christmas under America’s new constitution. Christmas wasn’t declared a federal holiday until June 26, 1870. Since the beginning of recorded time on planet earth, humans have tried to make sense of the phenomenon we call life. Our celebrations and traditions, like Christmas, have shaped us as a people and despite the brutality and injustices that have marked our journey on this beloved planet, humans are remarkable beings still trying to create the perfect society and way of living. And, that says a lot about us as collective beings. It’s important to embrace our past because it guides us in forming our future. 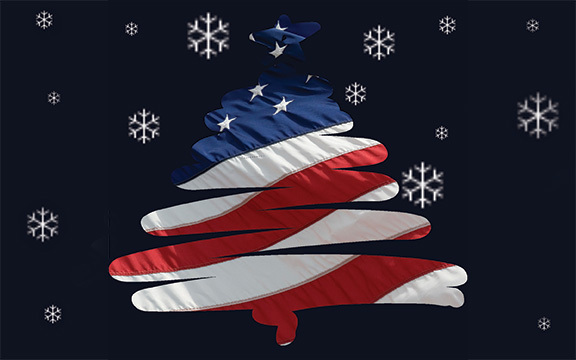 What Christmas means to Americans and other nations across the world is an important part of our growth as human-beings and as individual nations beholden to their own cultural identity. We have a lot to be proud of even in the midst of the current turmoils and chaos across the world. And, regardless of your views on how we celebrate this special holiday, Christmas allows us a moment to be still, take it all in, give thanks and appreciate all we have that makes life sweet and worthy of living. Merry Christmas…don’t forget to appreciate the journey that brought us here. This entry was posted in Archives, Culture and tagged charity croff, christmas, history of christmas, ulysses s. grant on December 24, 2017 by jlenoir.